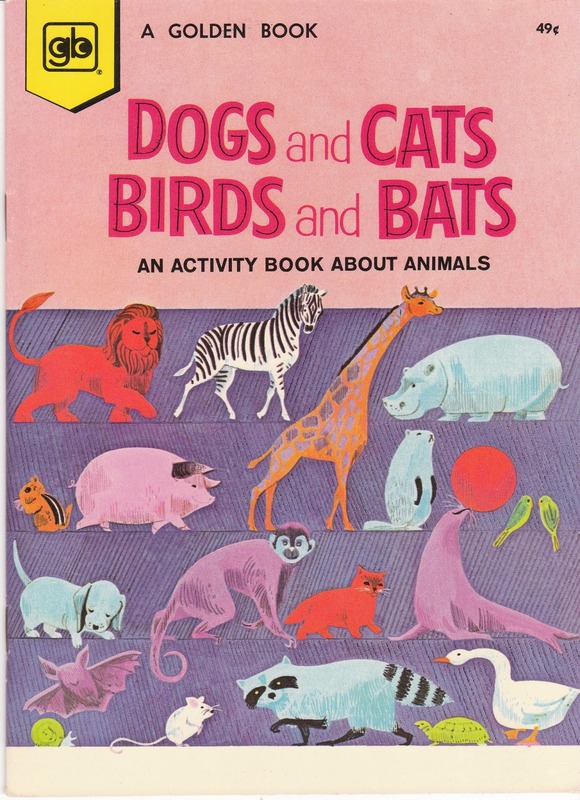 Dogs and Cats, Birds and Bats: An Activity Book About Animals is a 1964 Golden Book. This is unused, old store stock ... and it has fabulous illustrations by June Goldsborough. 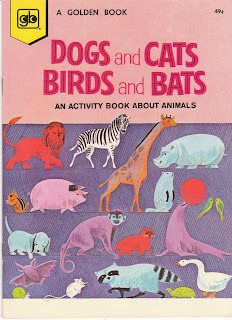 You can see the illustrations and read more about the book at Birdhouse Books: Dogs and Cats, Birds and Bats.